Veteran newsman and Pulitzer Prize-winning investigative reporter Bob Greene at work. The application for the 2019 Robert W. Greene Summer Institute for High School Journalists is now available online. This intensive, seven-day residential summer workshop is designed for current Long Island and NYC high school sophomores and juniors considering careers in journalism. The workshop introduces students to basic skills in news reporting, writing and editing and the use of video and still photography. Classes are taught by professional journalists. Students will live at the University and work in the School of Journalism’s multimedia newsroom. As a culminating activity, students will produce original work across several media platforms. Application deadline has been extended to April 12, 2019. *​There is a fee of $500 to be paid upon acceptance into the program which covers room and board, but all activities and tuition are free. Scholarships are available in cases of financial hardship. Please call 631-632-7403 if you have any questions. Stony Brook University is an affirmative action, equal opportunity educator and employer. Pulitzer Prize-winning investigative reporter and editor Robert W. Greene had a last request. 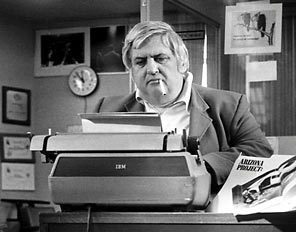 As his health waned, Greene hoped to complete plans for a “boot camp” for high school journalists at Stony Brook University. A seven-day residential program at Stony Brook University for Long Island high school students with a passion for journalism.